SO FAR SO GOOD submitted by Biao R. - Jul 15, 2016 |Recommended: YesLOCATION AND NEIGHBORHOOD. response from property - Oct 06, 2016 Thanks Biao! Location, Location, Location and Beautifulsubmitted by Stephen R. - Jun 20, 2016 |Recommended: YesVery good service, great location, well configured layouts and wonderful amenities.  response from property - Oct 06, 2016 Thank you for your review and calling North Water home. We are glad to hear you enjoy all of the wonderful features North Water has to offer! response from property - Oct 06, 2016 Thank you Shay for your review. We are happy to have you as a resident! I love life at North Water Apartmentssubmitted by Kevin R. - May 15, 2016 |Recommended: YesIt's like living at W-South Beach. And the view from the 50th floor makes you think you're in Miami. response from property - Oct 06, 2016 We agree Kevin, living at North Water is like living in a resort. The views are breathtaking. Thanks for the review!